I really enjoy this time of the year as it is when I reflect back on what has been achieved during the year both personally and at the MPO. Although 2015 was a relative short year for me since starting on the 4th of May, it has been a great year and I feel very proud of what has been achieved and very appreciative of all the hard work put in by the MPO team. There is no doubt that our team is one of our greatest strengths as an organisation. We are all truly privileged to work in a place where we can make a difference in the lives of everyone involved in the milk value chain. Overall, it has been a busy and productive year for the MPO. I am proud to be associated with the MPO and look forward to all the opportunities in 2016. I am of the opinion that what we will be doing strategically in 2016 will make a real and tangible difference in the lives of all our dairy farmers. 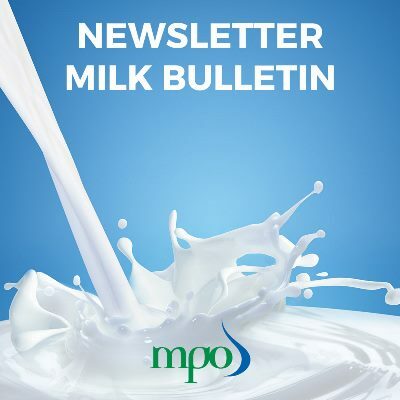 I look forward to 2016 in anticipation of continued success to the MPO team members in helping our milk producers achieve their goals. May you and your loved ones have a very blessed Christmas and may 2016 really be the best year ever! Remember: Milk has a Future!